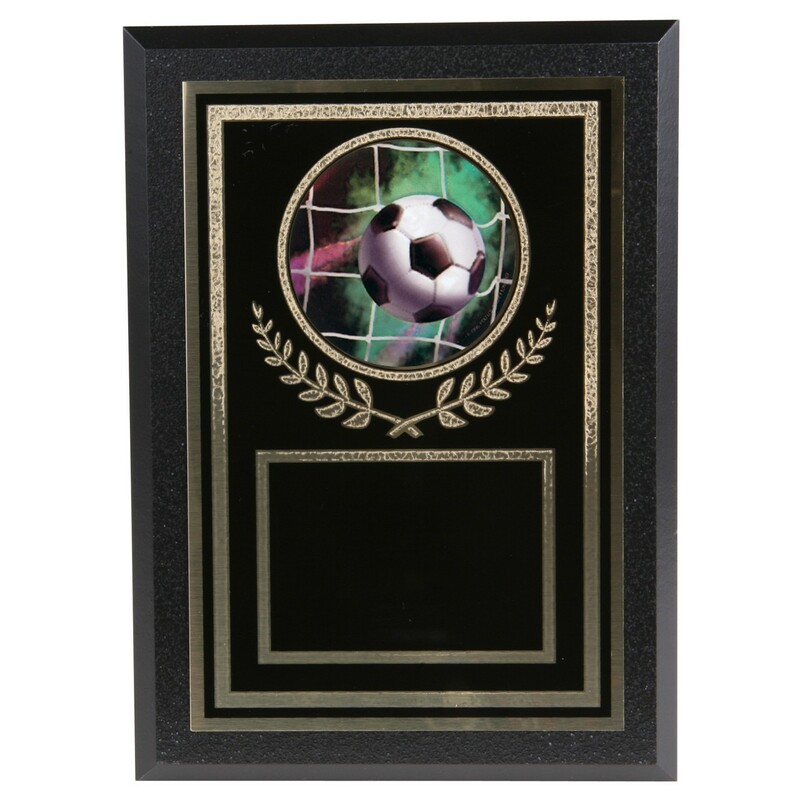 Winning Goal Victory Soccer Plaques are a classic award for a special coach or for the whole team! 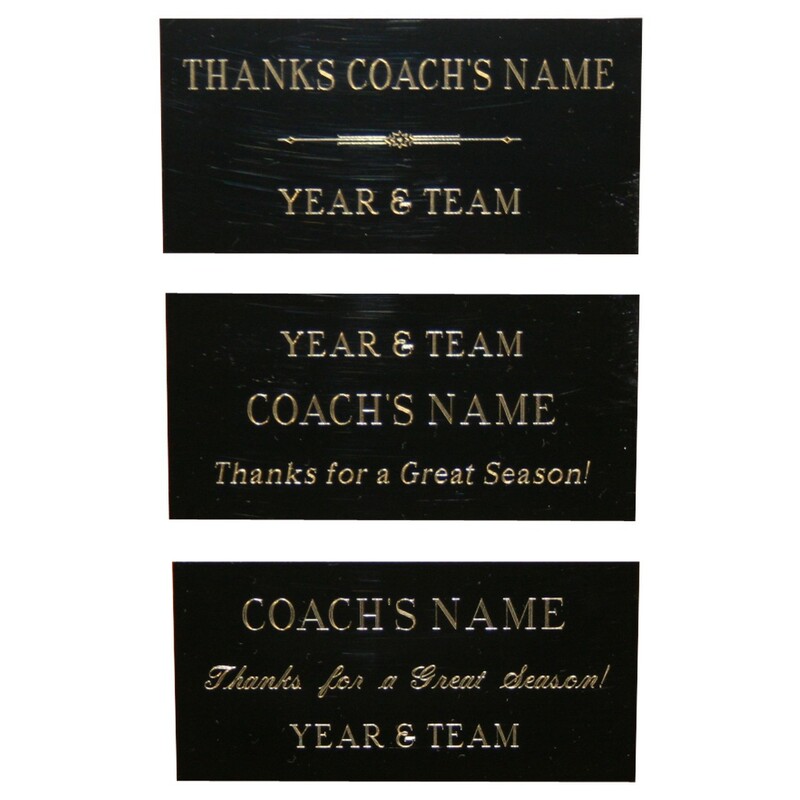 Black 5"x7" plaque has cove edge; black brass plate includes a gold decorative border and victory wreath. 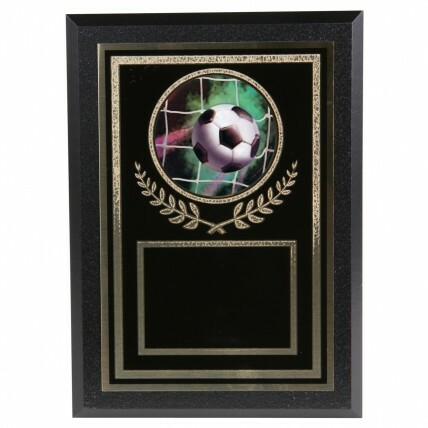 Center holographic image depicts a soccer ball soaring into the net. 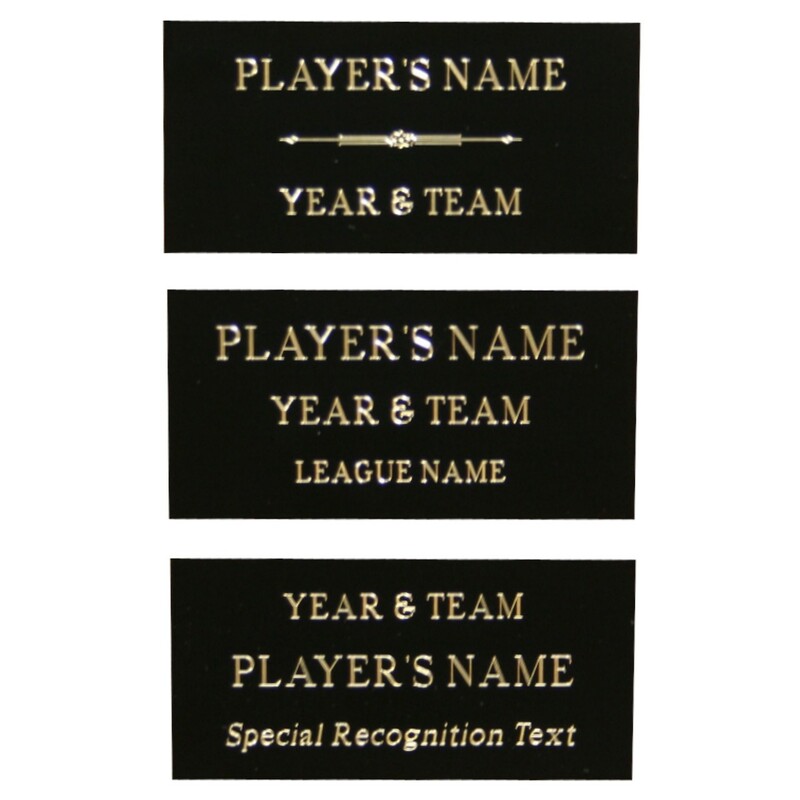 Includes up to 4 lines of FREE engraving!